This Broadway musical is based on the PG-rated film and includes similar content. If you think the movie is inappropriate for your child, the musical is likely inappropriate, as well. The musical is suitable for all ages, but may be best enjoyed by those eight years and older. “ELF The Musical” is the hilarious tale of Buddy, a young orphan child who mistakenly crawls into Santa’s bag of gifts and is transported back to the North Pole. Unaware that he is actually human, Buddy’s enormous size and poor toy-making abilities cause him to face the truth. With Santa’s permission, Buddy embarks on a journey to New York City to find his birth father, discover his true identity and help New York remember the true meaning of Christmas. 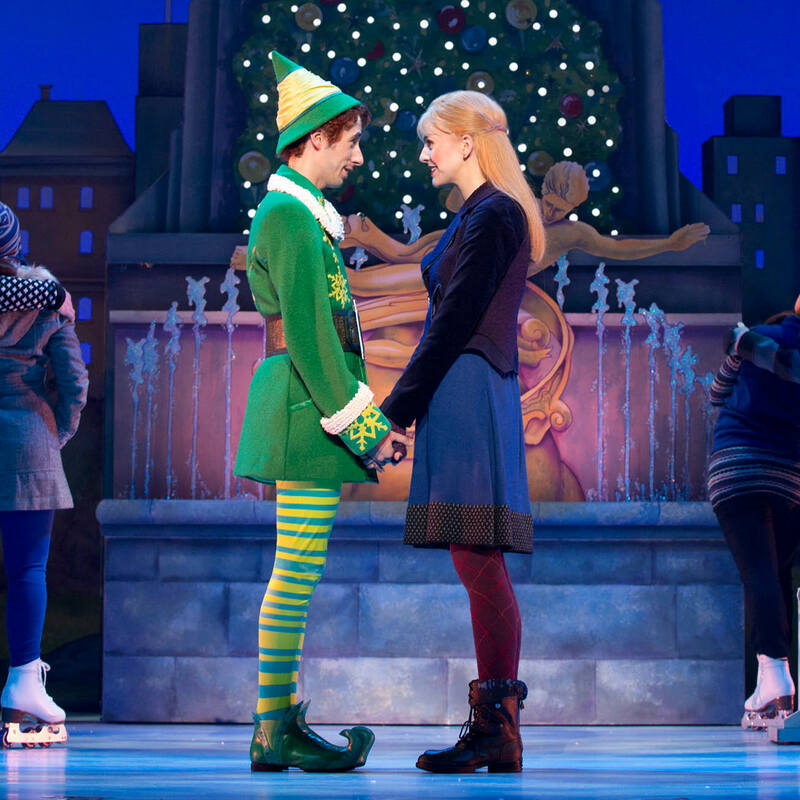 “ELF The Musical” encourages audiences to open their hearts and minds to the importance of our connections to one another, the need to balance expectations and disappointments, the struggle to establish a work-life balance and our own capacity to believe in the power of collective spirit and the magic of Christmastime. Christine Peters, set designer for “ELF The Musical,” tried to create a set that feels like a pop-up book. For Buddy, “the best way to spread Christmas cheer, is singing loud for all to hear.” What is you favorite way to spread joy and cheer? Another one of Buddy’s favorite things to do is smile. Why do you think smiling is a good thing to do? What does “Christmas spirit” mean to you? This entry was posted in Broadway Series, Family-Friendly Shows, Parent & Education Guides, Upcoming Shows. Bookmark the permalink.